- From a recruiting standpoint CSU has a more impressive campus/facilities and have that awesome new stadium. - Who he is following on Twitter. - Logan was a lot colder with a lot more snow than when he visited CSU. Last edited by Roy McAvoy on January 30th, 2019, 5:35 pm, edited 1 time in total. It’s interesting the number of offers going out in places like Louisiana (not only Jackson, but others for 2020) I am not at all opposed to recruiting these areas, but it seems like going from the deep south to Logan has the potential to be much more of a culture shock and adjustment than our recent areas of success (PacNW, California, and Utah/Intermountain West). No question there is a ton of talent in these places, and if we have success there, awesome. Just interesting to see that development. Does one of the new staff members have a track record recruiting the deep south? We’re also recruiting one of his teammates this year and offered a couple for next year. I believe that he and Tyreese visited together so hopefully he pulls the trigger as well. Excellent pick up. Cam Lampkin and Carter is a pretty good duo to bring in at WR! BANG BANG HOUSTON GANG! What a pickup! Not that it matters much but why are the 247sports recruit ratings all of a sudden changing so much? Because we are one week from NSD. Lots of guys falling into place. Keith Harris and Gilliam were upgraded to 3 star guys. Dat Aggie bump. Tip of the hat to Anderson who first procured a great staff. Then that staff held together and gained commits. Next couple of years should be bright! Did Jackson ever announce his commitment today?? We're out of the running for Jackson. What happened and what’s the backup plan? Why did Jaylen Warren’s number/* drop from 8500 to 8000? A lot of guys have changed. Interesting that hunter hill went up 1 or 2 days after his usc offer. Seems the rankings are reactionary to whom has offered. On a side note good job to the 247 team for getting neves and sonny m 3 stars. Both were previously unranked. When you guys are looking at the 247sports rankings, there are actually 2 different ranking systems in place on our site. FIRST there is the ACTUAL 247 ranking. This is the one that you guys can pay attention to. Each player is evaluated several times over the course of the year and yes, sometimes the offers sheet can affect the evaluators judgement but for the most part the evaluation process is indeed a true evaluation process. SECOND is the COMPOSITE ranking. This you can throw out the window because this number is the calculation of the 247 ranking, the ESPN ranking and the Rivals.com ranking. ESPN pays little to no attention to us and half our class usually goes completely unranked. Rivals DOSEN'T even have a Utah State page, so that shows you how important the Aggies are to that website. Unfortunately, what ends up happening is the number that gets thrown around is the COMPOSITE ranking. So you'll see what happened with Jaylen for instance. 247 has Jaylen at a mid-grade 3* 85. What has dragged Jaylen down is Rivals rated him as a low grade 2* 5.2. The way you all are able to tell of a prospect has been graded by 247 or more is this. If you visit our site for instance and are looking at our commits underneath the stars at the right hand side of the page are 1, 2 or 3 dots. The first dot means 247 has evaluated the prospect. If a second or third dot follows, that means ESPN and/or Rivals has evaluated the prospect as well. I hope that helps. If I need to clarify anything please don't hesitate to ask. I'm just hoping I make sense. Last edited by aggies22 on January 31st, 2019, 11:25 am, edited 1 time in total. With regards to RB, at this point I say we just bring on Riley Burt then call it good and try it again next year. If there's a game in the this class at RB we can always fill the void in the future with a JC guy or another grad transfer. I don't think Mike Sanford has much of a track record down in that area but he absolutely wants to recruits down there. Unfortunately, what ends up happening is the number that gets thrown around in the COMPOSITE ranking. So you'll see what happened with Jaylen for instance. 247 has Jaylen at a mid-grade 3* 85. What has dragged Jaylen down is Rivals rated him as a low grade 2* 5.2. The way you all are able to tell of a prospect has been graded by 247 or more is this. If you visit our site for instance and are looking at our commits underneath the stars at the right hand side of the page are 1, 2 or 3 dots. The first dot means 247 has evaluated the prospect. If a second or third dot follows, that means ESPN and/or Rivals has evaluated the prospect as well. So, if I’m understanding correctly, Rivals/ESPN must have rated Gilliam and Harris higher than 247 did, but rated Jaylen Warren worse than 247 did, which resulted in a downgrade in Warren’s composite rating but a bump in the composite rating for the other two guys. Also, I’m not seeing anywhere where we’re out of the running for Jackson..is this based on inside info? This is correct. ESPN rated Harris as a 3* and Rivals rated Gilliam a 5.4 2* which was just high enough to bump him into the 3* composite rating. As a 247 staff, neither myself or my colleagues have NOT heard that we are out of the running for Jackson. Although in viewing his twitter thread about commiting yesterday, I will say that I am disappointed in some of the gifs that were left by overzealous Aggie fans. Those guys don't know that kid and they just came across as impatient and rude. If any of you are tweeting recruits please just be aware of what it is that you are sending and how it may come across to a kid you probably don't know. Last edited by aggies22 on January 31st, 2019, 10:37 am, edited 3 times in total. Offer to Austin Bolt from Borah HS in Boise, ID. Being recruited by BSU, Washington State, and others. Last edited by Pacobag on January 31st, 2019, 8:34 am, edited 1 time in total. We've also offered the QB at Gooding High School. 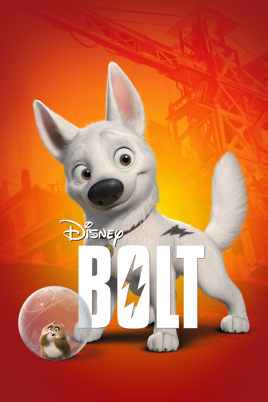 Let's get Bolt, AND his namesake Usain. He must have FB eligibility. Bolt was running a sub 50s 400m as a sophomore. He comes from a great family and has a great motor, always hustling and doing the little things. If I remember correctly, he will likely play QB next year (his senior season) due to team needs. Why would Tyreese Jackson announce he was committing Wednesday and then not do it? I guess he is not sure where he wants to go, or maybe got a last minute offer..
Also why would we back away from Brandon Pierce when he just got an offer fro Oklahoma? My guess is we knew we didn’t have a shot. No. We had more than a shot, we just chose to go in another direction. Just noticed that apparently Akili Arnold decommitted today. Is there a potential backup option we are going to go after, maybe Jordan’s friend from UCLA?